Tavares said a priority will be setting out an ambitious but realistic future pathway to cut CO2 emissions. 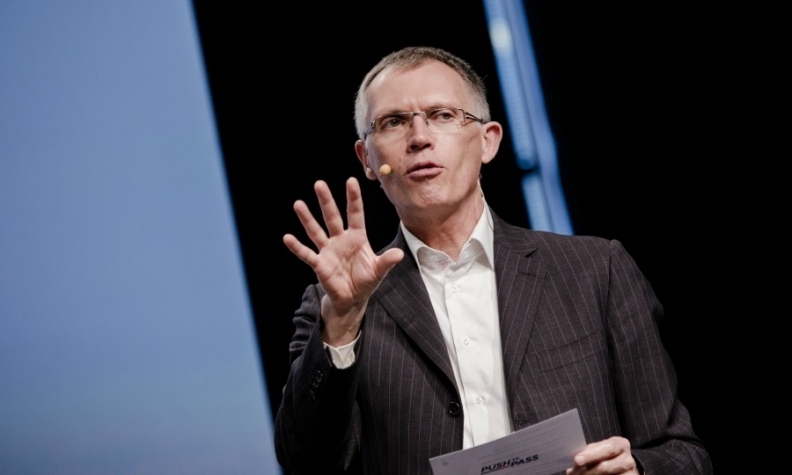 FRANKFURT -- PSA Group CEO Carlos Tavares will succeed Daimler chief Dieter Zetsche as president of ACEA, the European auto industry's lobbying body. Tavares will take over the role on Jan. 1. In a statement, Tavares said safety and reducing emissions would be one of his focuses. "Top priorities for 2018 include setting out an ambitious but realistic future pathway to bring down CO2 emissions, further improving our safety track record, and protecting and enhancing the competitiveness of the European automobile industry," Tavares said. Brussels-based ACEA represents the interests of the 14 European car, truck and bus manufacturers with European regulators. Tavares, 59, held a number of roles at Renault between 1981 and 2004, before joining Nissan where he served as executive vice president, chairman of the management committee Americas and president of Nissan North America. In 2011, he rejoined Renault as chief operating officer and second in command to CEO Carlos Ghosn. In 2014, Tavares took the top job at PSA Group, replacing Philippe Varin. Under the Portuguese executive, PSA rebounded from near-bankruptcy and a government-backed bailout in 2014 to an industry-leading automotive profit margin last year on the strength of cost-cutting, a pared-down lineup and determined efforts to lift prices. Earlier this year, Tavares added General Motor's Opel/Vauxhall unit to the French group's existing brands.